I love the new leaf and the stitch by betx white and the soy batting. Thanks for such a great giveaway. Okay today is my stop on the Easter Bunny Blog Hop hosted by Lilac Lane! 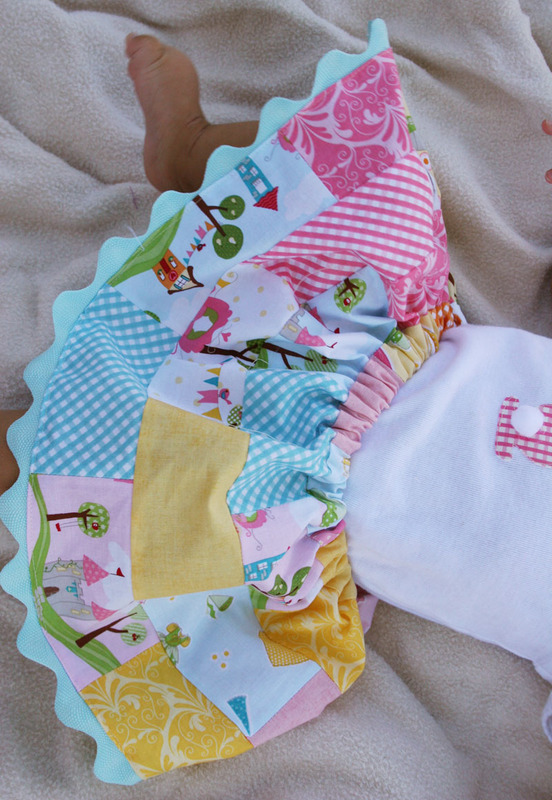 I have a sweet and simple baby girl outfit to share and a tutorial as well! Sometimes I call her and sing to her Little Bunny Foo Foo...so the title just fit! Isn't she so sweet and springy! And it was around 80 degrees in this picture, so I didn't freeze her :) Oh her sweet little face...I could stare all day. Now the measurements will be according to your child. If you're making it as a gift there are a lot of references online for sizing. For width you want at least double the child's waist, the more you go the fuller the skirt. This is almost 4 times her waist on my baby's skirt. For length you want to measure the child from waist to knee (where you'd like it to hit). 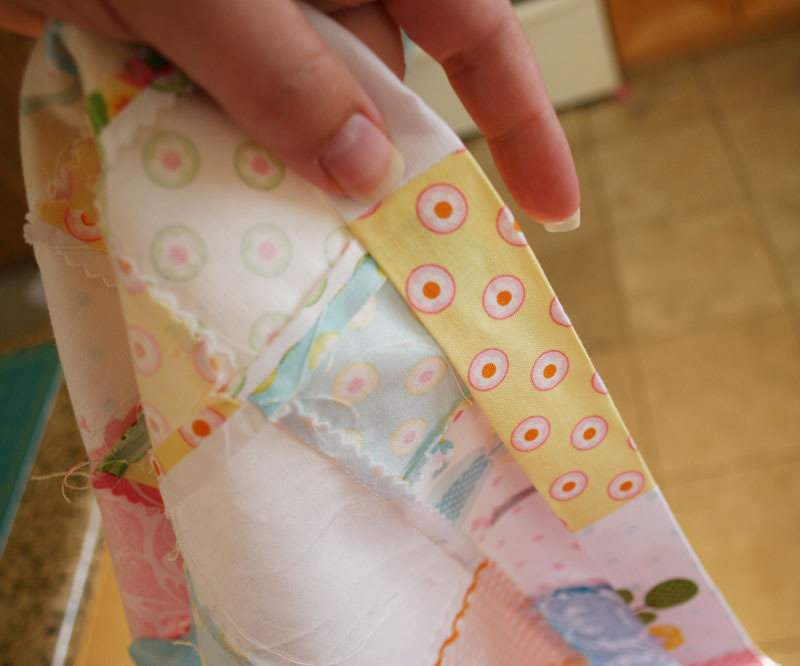 Add the width of your elastic (ie 1/2", 3/4"). 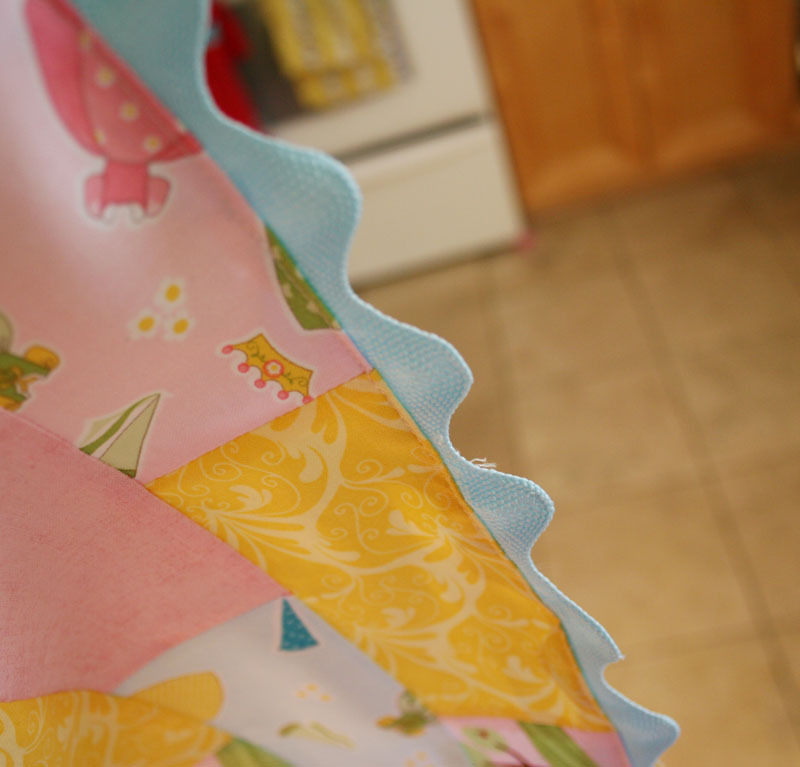 Add 3/4" for waist seam. Add 1/2" for hem. Since I was using charms I rounded to the nearest 2 1/2". (That will make more sense when you see the skirt come together). Space the strips to create a brick effect. Trim off excess on the ends. Sew ends together to create a continuous piece. Finish your hem. 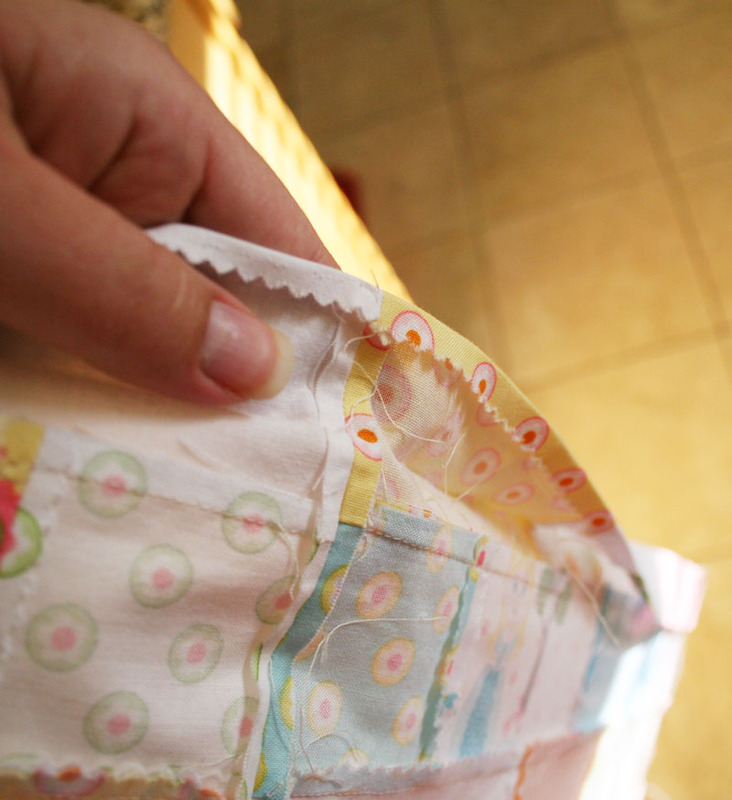 If your using ric rac, sew the ric rac about 1/2" from the bottom of the hem on the right side of the skirt, see below. Turn trim under and press. 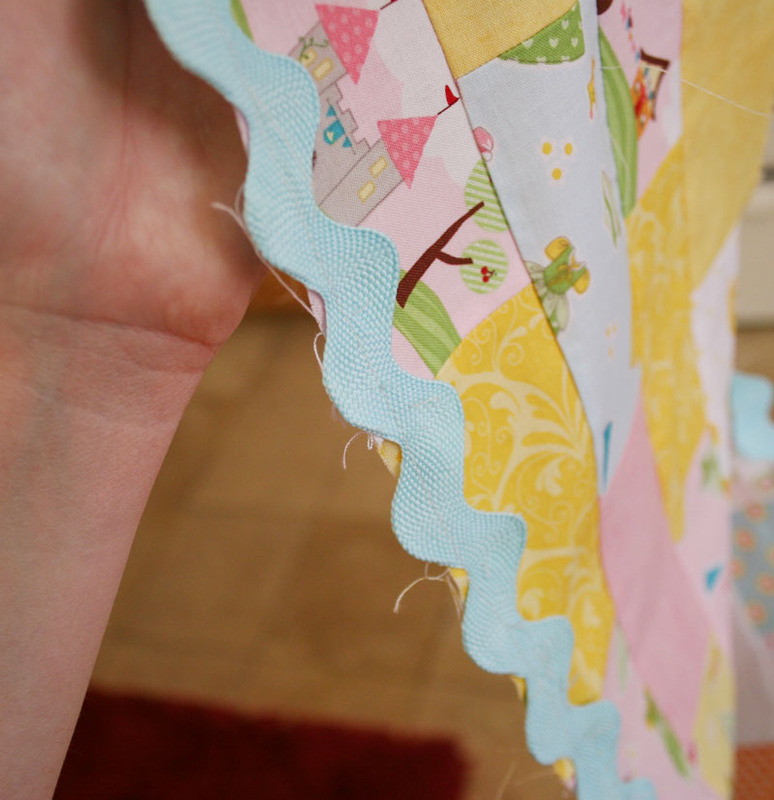 Sew a top stitch. Next press down 1/4" from the top of the skirt. 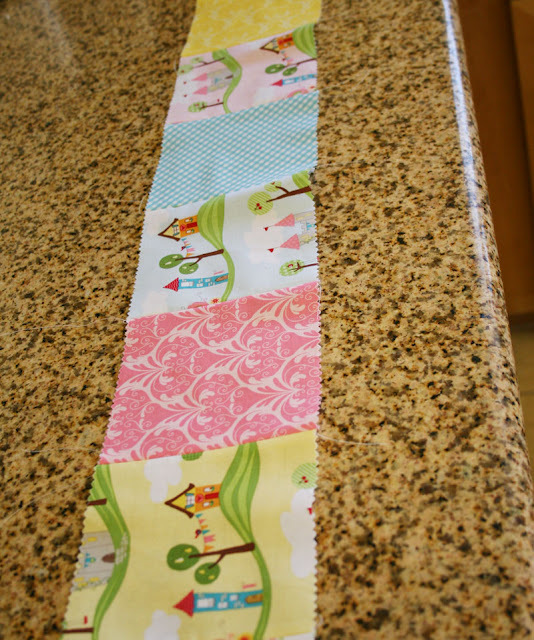 Then press down the width of your elastic + 1/2". Sew around leaving a space to feed the elastic through. 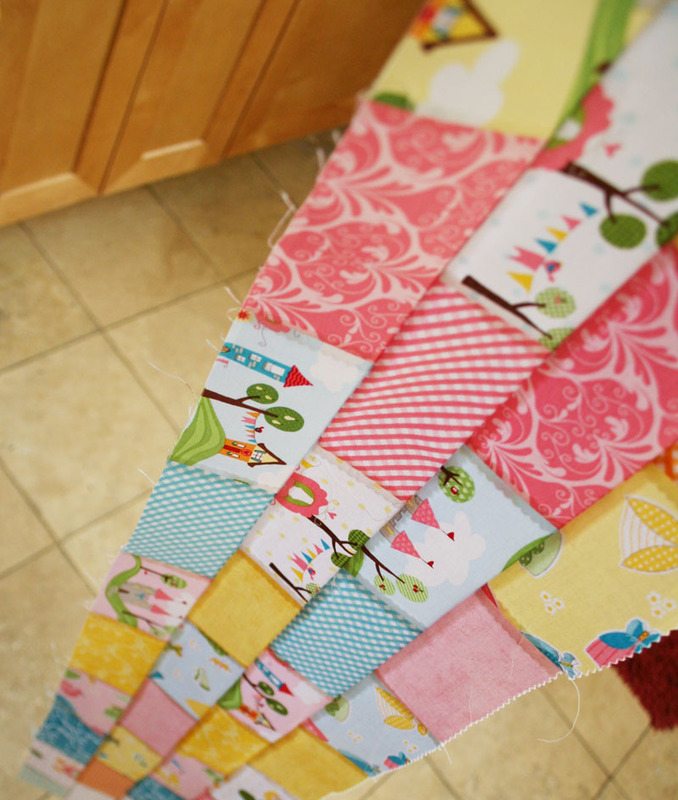 Cut the elastic to the child's waist size (exactly or slightly tight). Feed through casing just made on the skirt. Join elastic by overlapping 1/2"-1". Sew opening closed. 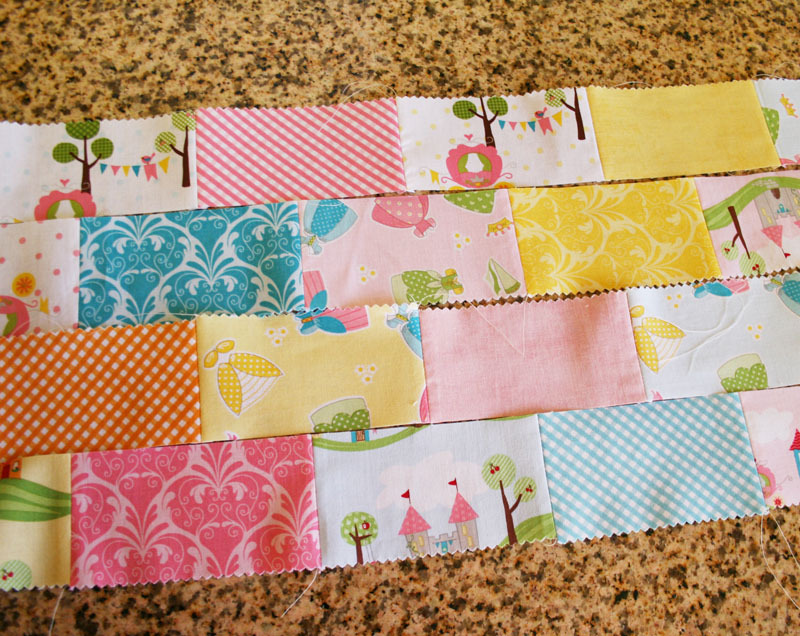 And a darling patchwork skirt in no time! Download bunny image here. 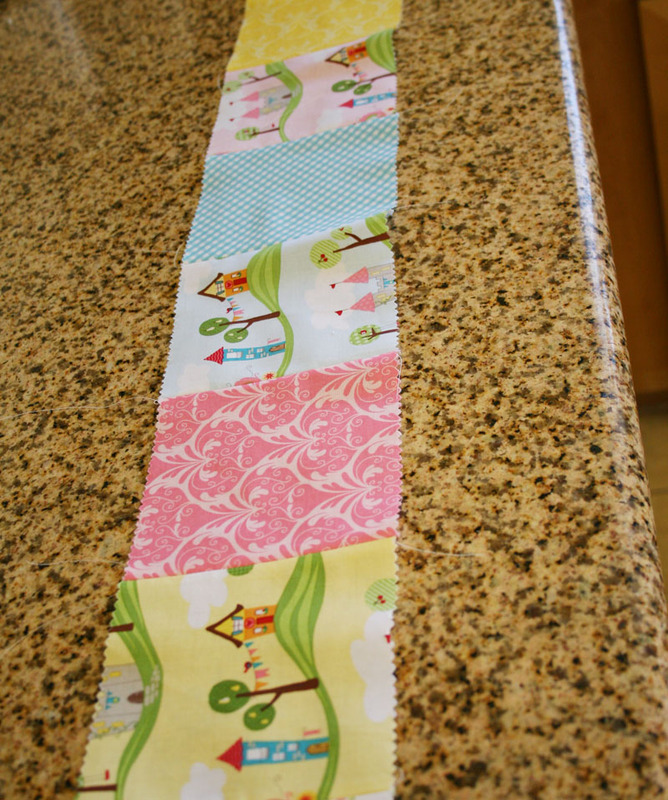 Trace onto the fusible web paper and follow the directions to applique to your fabric. Use a permanent fabric glue to add the pom pom. Hope you like! Let me know any questions with the tutorial! She was loving being outside and kicking. And then she saw the birds and was frozen in awe. I am so in love with this baby!!! Stop by to see the other fun projects on the Easter Bunny Blog Hop! 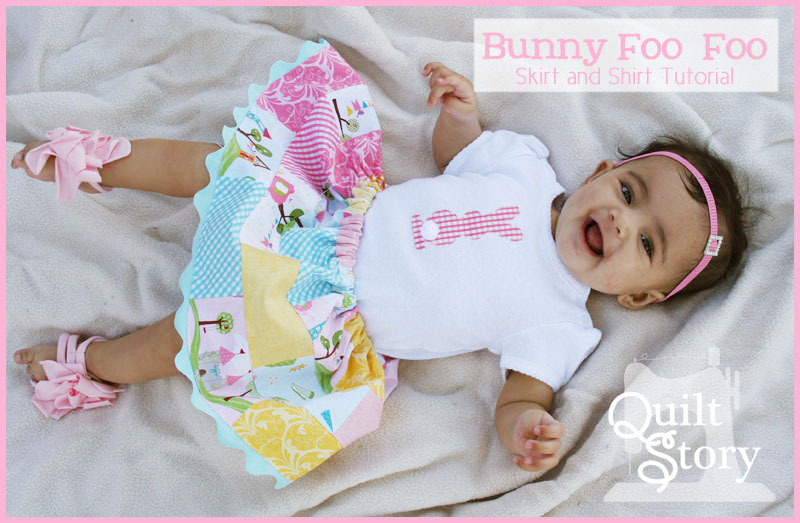 Awesome pics.She is adorable and your skirt is fabulous.Love your fabrics choice!! Absolutely gorgeous! Oh and the skirt and shirt are cute too. What are the cute little things she has on her feet? I can see the sole of her feet so I am assuming they are not shoes. Thank you for the lovely tutorial. wait, is there a shirt and skirt we're supposed to look at? 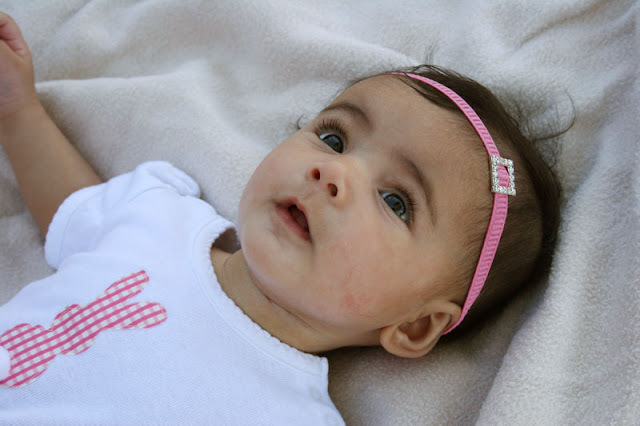 cuz all i see is that darling baby girl! maybe you should look into a less attractive model if you really want anyone to pay attention to your sewing projects ... haha!! Gorgeous! I love anything with ric rac on! Lovely skirt. Thanks for the tutorial. very cute and love the model. Thanks for sharing. Such a cute lil model, and skirt, hehe. Thanks for a great tutorial with lots of super pics. Awesome job! Super sweet baby and tutorial! thank you! This is a very cute little skirt - thanks for the tutorial! Just adorable!! Both the outfit and that super cute model of yours. What a doll she is. love the skirt, it's super cute. She is absolutely stunning. Thank you...I am going to make the skirt today to send to my little grandaughter...too cute..
Oh my gosh! I love her too! She looks so cute in that little outfit, what a perfect model you have! 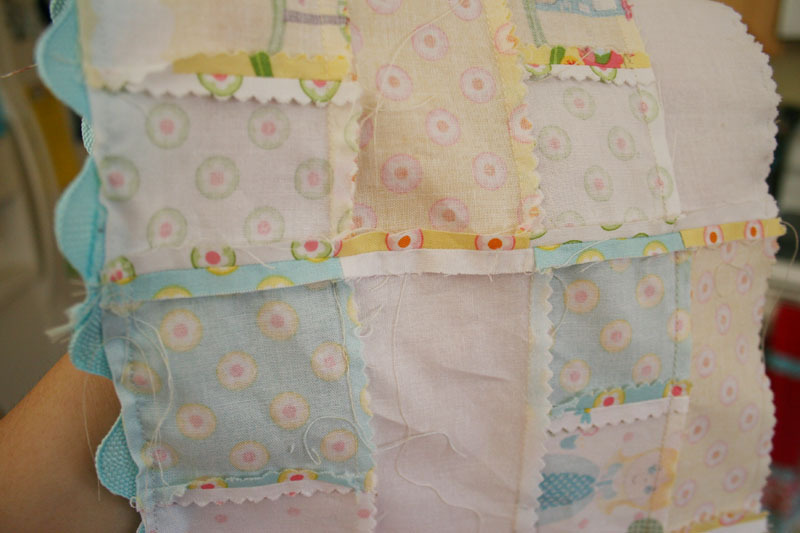 I want to make one and have a darling baby doll to put it on!! !